Martin Luther King once said that 11 a.m. on Sunday was the most segregated hour of the week. Is that still true? People who study the question say it is. They say that fewer than one congregation in 10 can be considered even 20 percent multiracial. But here and there are churches that seem to be bucking this national norm. Sanctuary Covenant Church in north Minneapolis is one of them. On a recent Sunday, I visited the church to try and figure out what it's doing that's so successful. Sanctuary Covenant Church, or "Sanctuary," is a congregation of about 700. 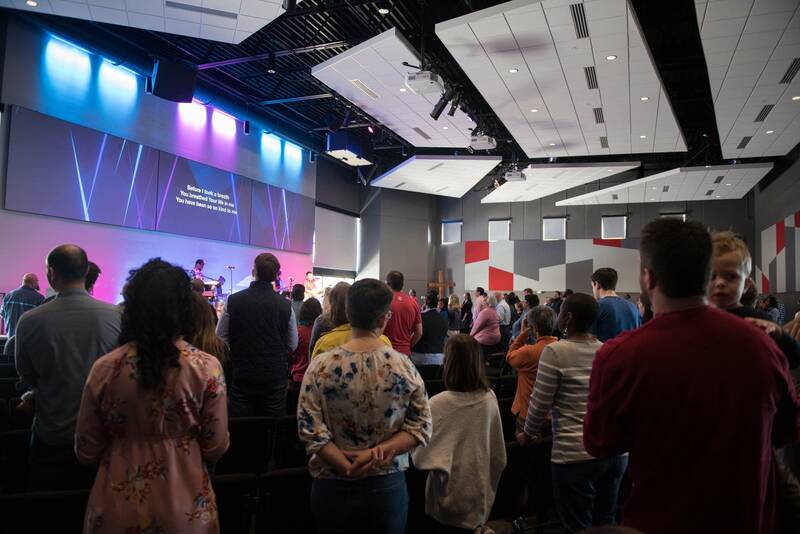 It's an Evangelical Covenant Church that just moved into a renovated storage building off Interstate 94 in north Minneapolis. The space is clean and modern, with high ceilings, stations for coffee and furniture that looks like it might have come from IKEA. The worship area is about the size of a hotel ballroom, and by the time the Sunday morning service started there were about 300 people packed into rows of chairs and singing along with the band. What really caught my attention was the diversity of worship leaders up on stage. They were Asian, black, white, Hispanic. And the people singing along in the pews were just as diverse. After an opening prayer and some announcements, a group of Native American musicians started drumming and singing. Smoke from a bundle of sage wafted through the worship area. I wasn't the only one that morning who was struck by the drum circle. Edrin Williams, Sanctuary's associate pastor, told me he got a lot of feedback, and some pointed questions. "Today, when the drumming was going on, someone texted me to say, 'Is this worship? Is this biblical?'" he said. 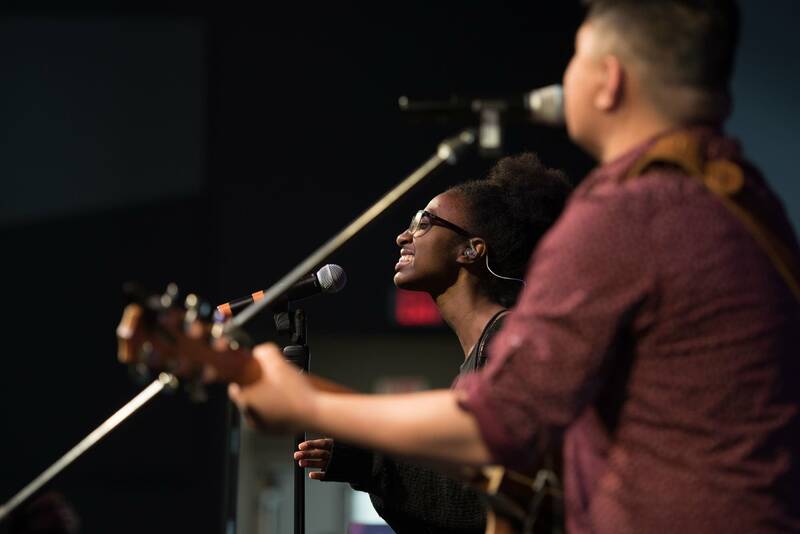 Sanctuary Covenant's vision, in its own words, is to be "An urban, multi-ethnic, multiplying movement, reconciling people to God and one another." But the lead pastor, the Rev. Dennis Edwards, told me he is not interested in a nice, politically correct picture of racial diversity at his church. "That's a brochure, right?" he asked. "That's a snapshot. To me, I wouldn't be a fan of that. I would want to know that relationships are really being built and that there's some hostility, let's say, that's being broken down." Sanctuary spends a lot of time trying to figure out how to get its members not just out of segregation, but deep into the work of justice and reconciliation. 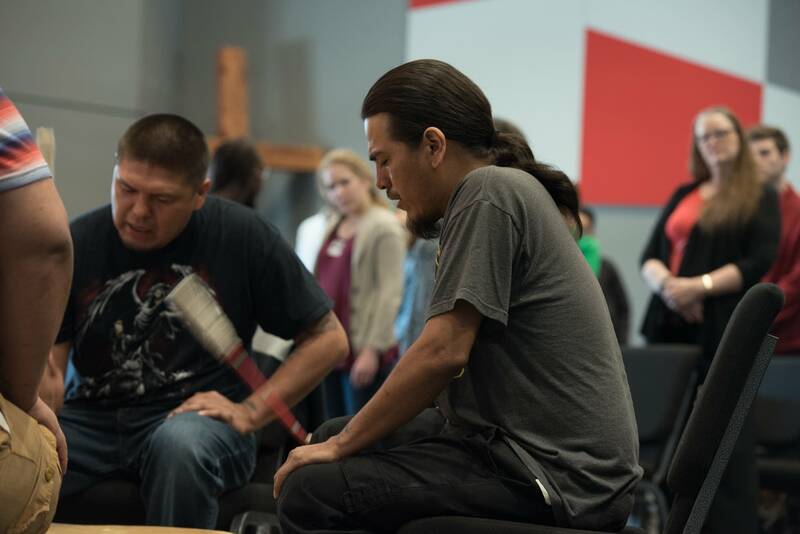 The church holds workshops and convenes small groups on building cross-cultural skills. And Edwards himself is African-American. He told me that having people of color in leadership positions is key for churches that want to be multicultural. "If you are reconciling, it means you share power," he said. "It means you've got to find a way to connect with other people. And that's really hard to do." Members of Sanctuary do not pretend that racial reconciliation is easy. People describe their work with words like "sacrifice" and "humility." Bethany Grove is white and has been attending Sanctuary for three years. "It is a sacrifice to do racial reconciliation and to be involved in a multi-ethnic church," she said. "Everybody has to give up something to be here, and for some people that sacrifice is really huge. There's conflict involved, it's not always comfortable. There are awkward moments and there's a lot of humility that needs to be involved, for sure." And it seems Grove is not alone in valuing what Sanctuary has to offer. The church now has two Sunday morning services. 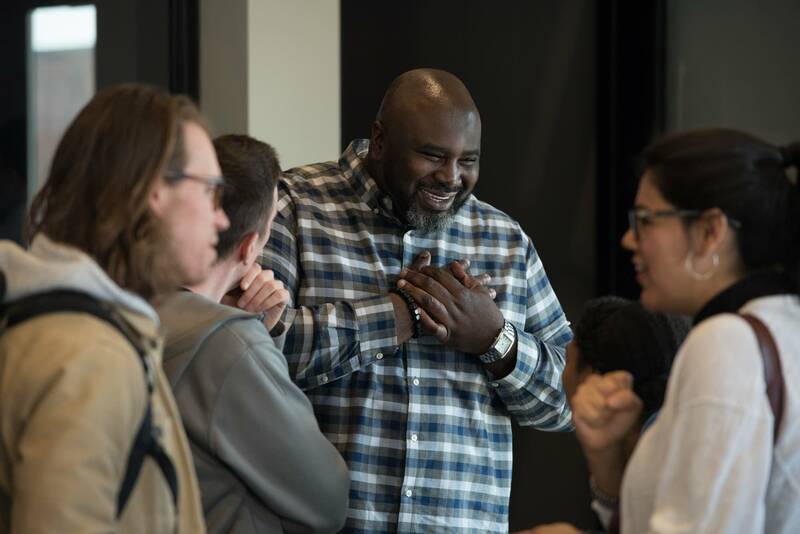 They attract people not just from north Minneapolis, but from around the Twin Cities: interracial families, people in teaching, social work and community-building professions as well as business executives. And the church has managed to achieve socioeconomic diversity, as well as far outpacing the national norms for racial diversity. According to surveys, the church is about 60 percent white, 30 percent African-American and 10 percent Latino, Asian, Native American and African national. For Sanctuary, racial reconciliation is not just a nice extra. It's about making faith come alive. Edwards said he is inspired by the way Jesus described his own ministry, to "preach good news, set captives free and heal the brokenhearted." "It's a liberating kind of a message," he said. "It's not a simplistic message that God loves you and has a great plan for your life. But it's a message that marginalized people can receive and be built up with."